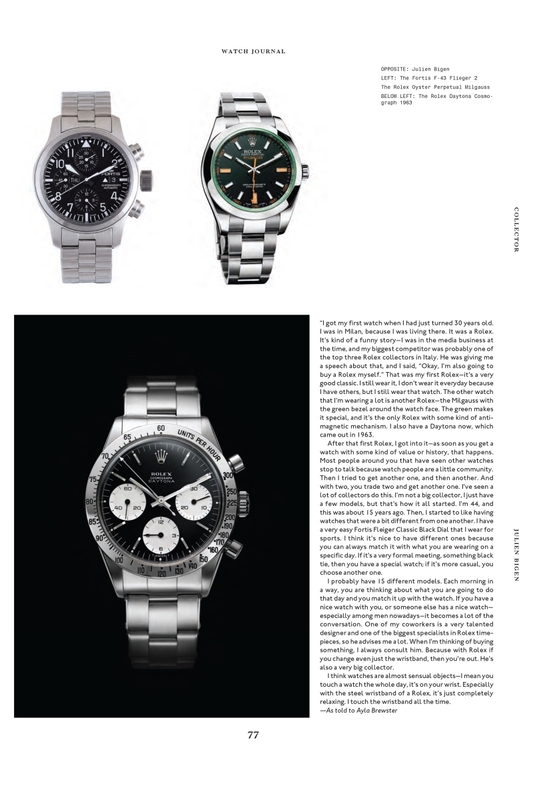 Watch Journal features several notable watch collectors and their favorite timepieces in the March 2015 edition and provides us an opportunity to look into the lives of each of these collectors and gain insight into the watch enthusiast culture. 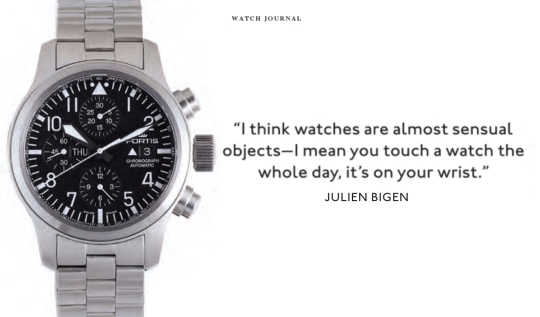 What is clear is that Julien Bigen has a deep appreciation for the individuality and unique expression of each watch in his collection. 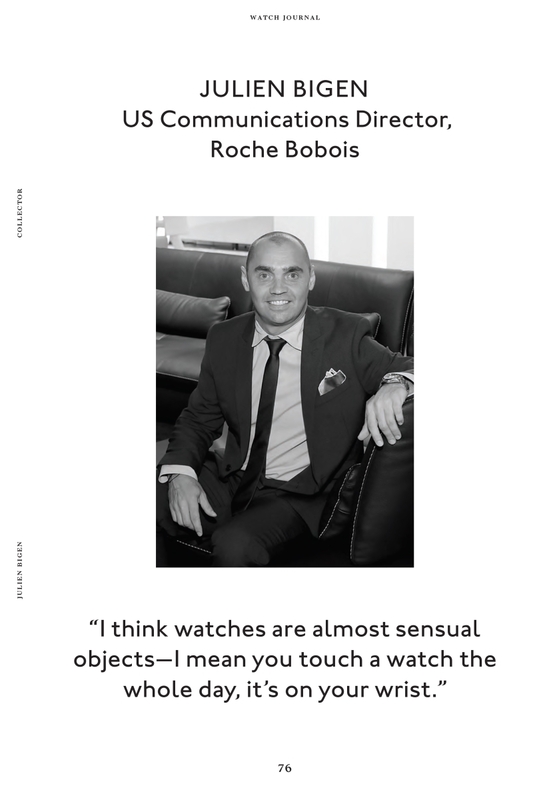 He, like all watch collectors, uses each individual watch to communicate his sense of style and enjoys the benefits of wearing a piece of history like a Fortis or a Rolex on his wrist. Vintage watches are in. 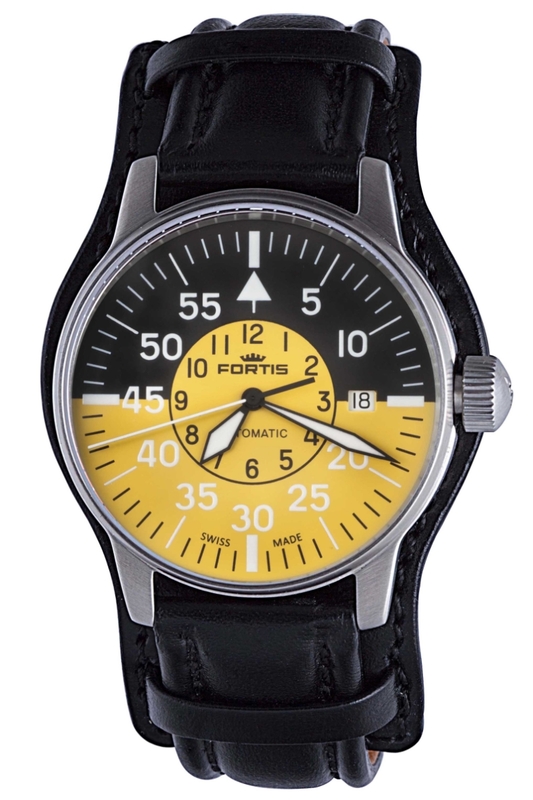 And nobody does vintage better than Fortis. Fortis practically invented the aviator timepiece, and pilots and astronauts still depend on these superbly crafted timing tools today. Early aviator watches were characterized by a large uncluttered dial, so pilots could easily keep track of the time while monitoring critical cockpit instruments. 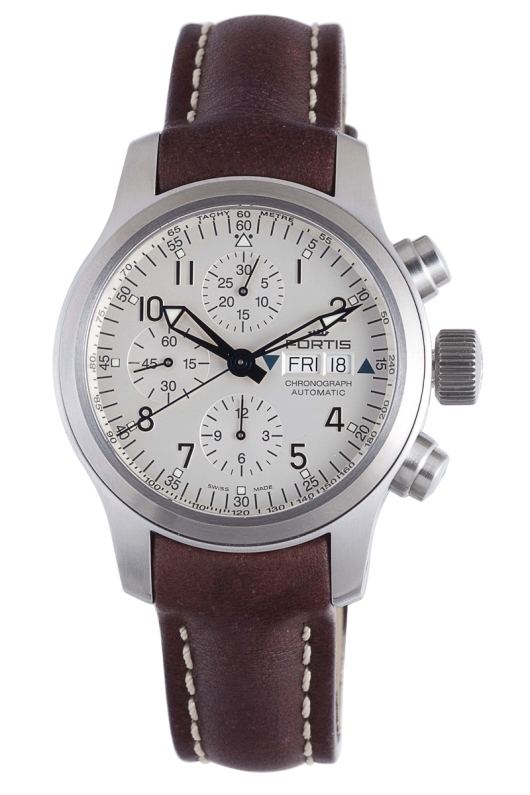 The first generations of these watches were often fitted with World War I cuff style straps, which initially became popular when smaller pocket watches were adapted to wear on the wrist. Later, NATO nylon straps were found to be more practical, but both styles are still popular today. 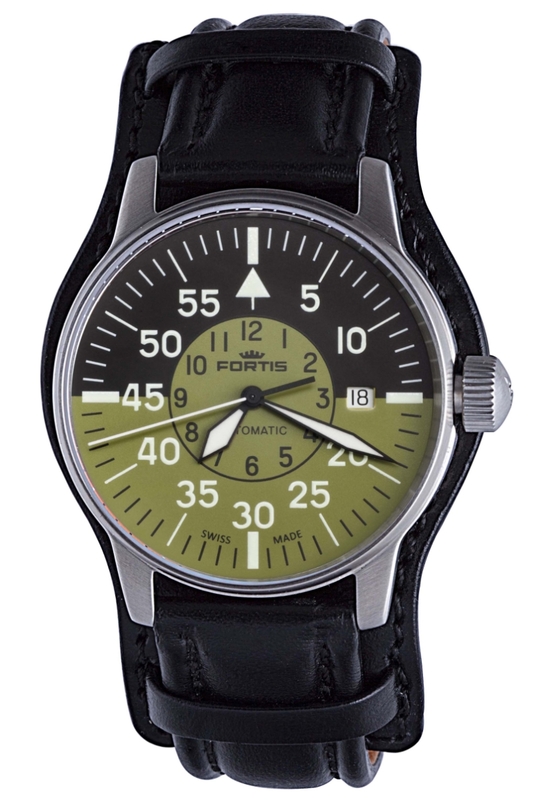 Fortis not only provides a option of military style straps with Cockpit timepieces, there are also three exciting color combinations available. 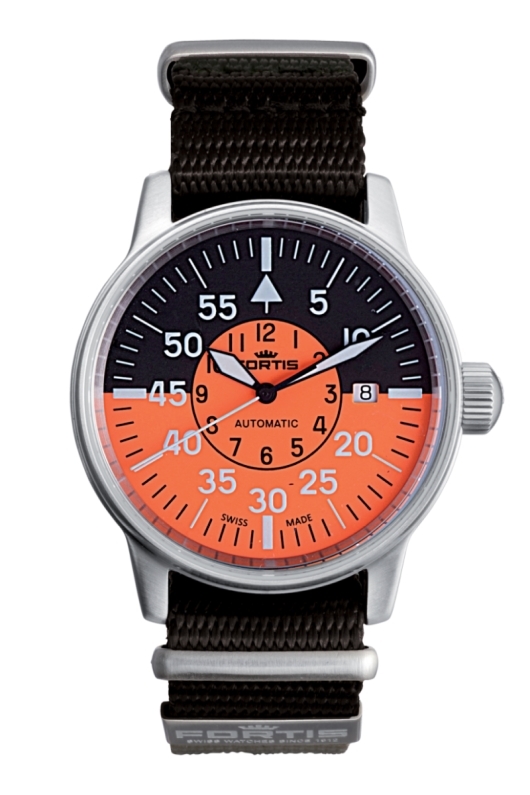 Each of these 40 mm stainless steel aviator watches features a two-color dial that divides a 12-hour day into two clearly differentiated six-hour segments. 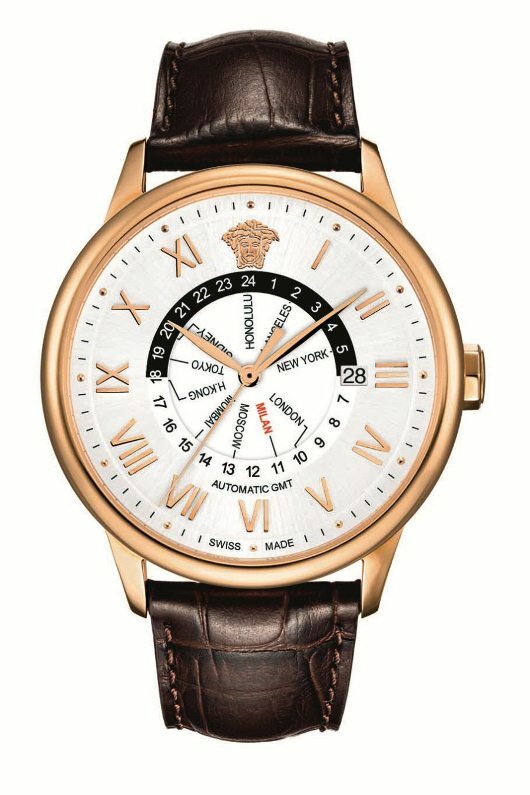 The unique luminous three-hand configuration highlights the all-important minute scale, while placing the hours in a smaller circle at the center of the dial. The large, two color minute scale makes events easy to time even under adverse lighting conditions. 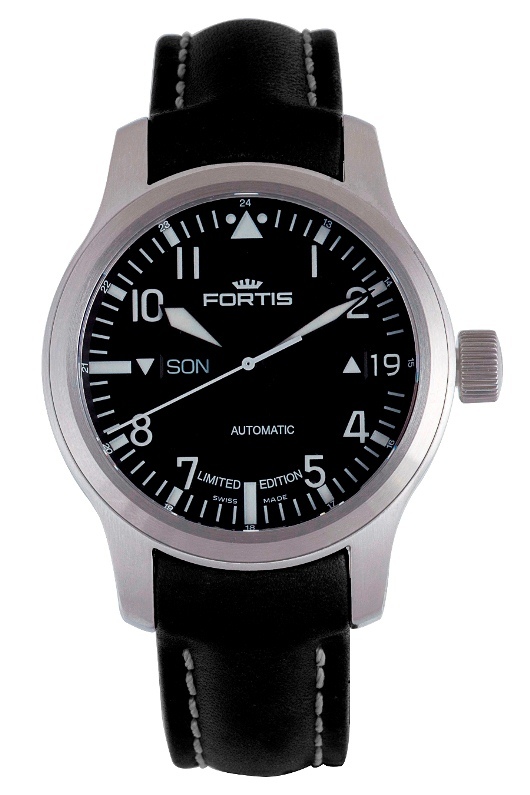 There is also an easy-to-read date window at 3 o’clock, adjacent to a large knurled stainless steel setting crown with the Fortis logo. 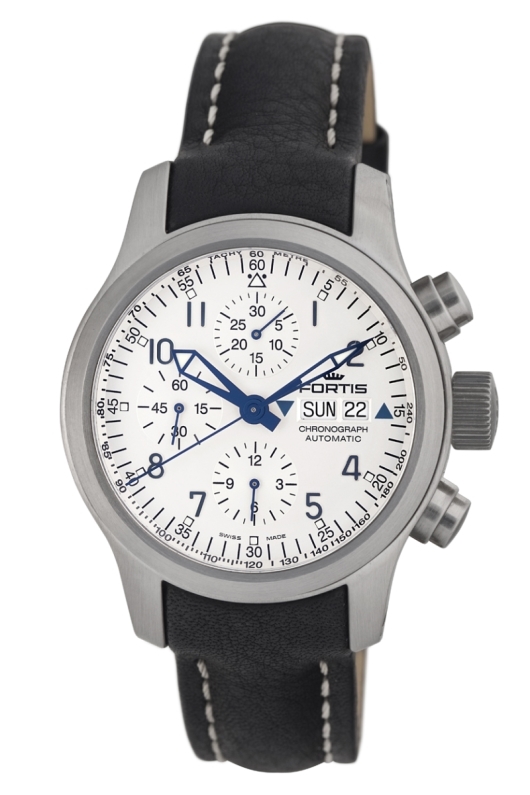 All Fortis Cockpit watches are powered by a premium Swiss made ETA 2824-2 automatic mechanical movement, designed to last a lifetime with proper care. An anti-reflective, scratch resistant sapphire crystal protects the beautiful dial, and the rugged stainless steel case is water resistant to an impressive 660 feet. The Cockpit Collection is available with an Olive and black, Yellow and black, or Orange and black dial, and can be fitted with your choice of a wide premium leather cuff style strap, or an authentic nylon NATO strap. 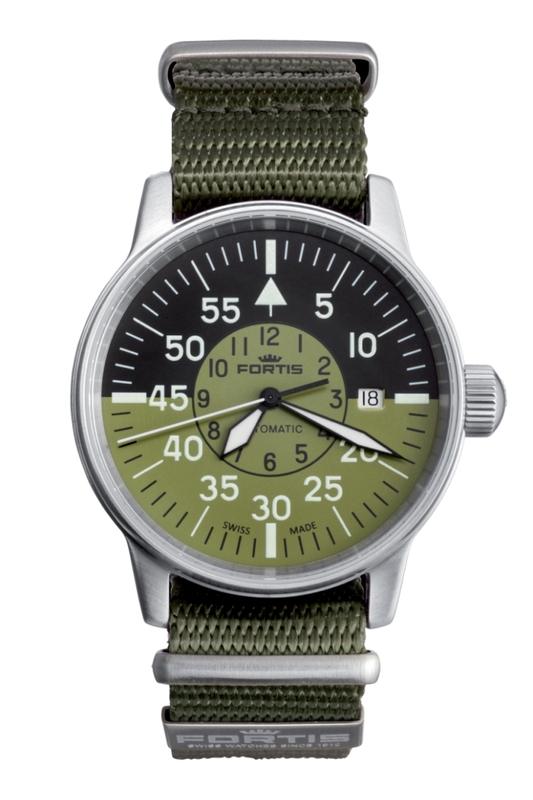 If the no-nonsense look of a military inspired vintage watch appeals to you, maybe it’s time to see how a Fortis Flieger Cockpit looks like on your wrist. The Cockpit gives you the best of both worlds: an authentic vintage vibe powered by a modern Swiss-made mechanical movement. To acquire one of these superlative timepieces while they’re still available, contact an authorized Fortis dealer immediately and ask to see the Flieger Cockpit Collection. 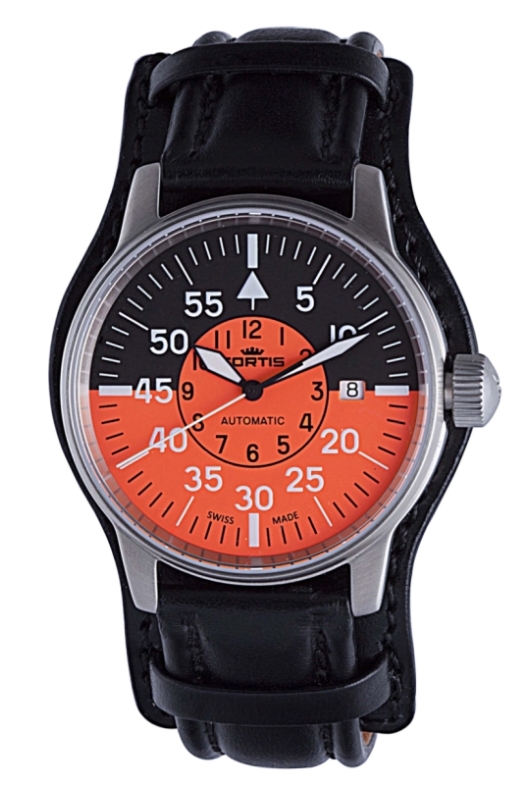 The Fortis B-42 Flieger is legendary among aviators. This classic military style watch has everything that professional pilots need. Available in a practical three-hand or a sophisticated chronograph configuration, these superbly crafted timing tools feature large, easily readable dials, clearly marked lettering, and in the case of the chronograph models, the additional tools you need to accurately measure everything from airspeed to the length of a trip leg. 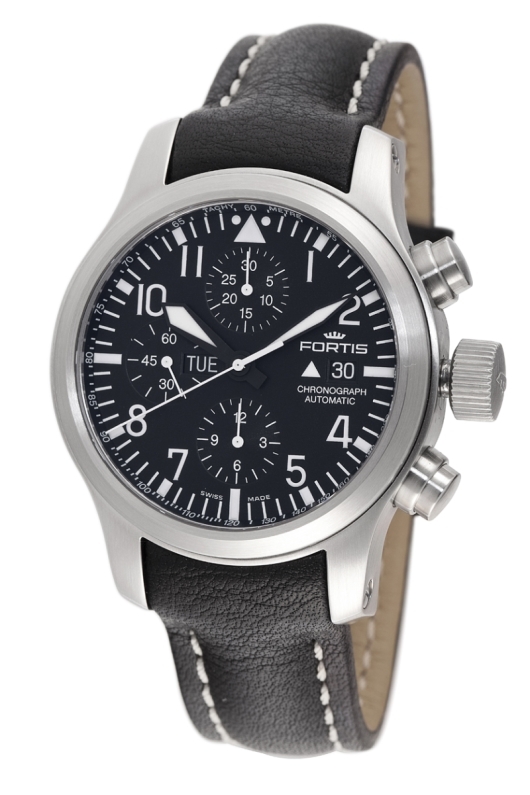 The classic 42 mm Flieger Automatic design features a large easy-to-read dial with contrasting lettering for easy visibility under adverse lighting conditions. 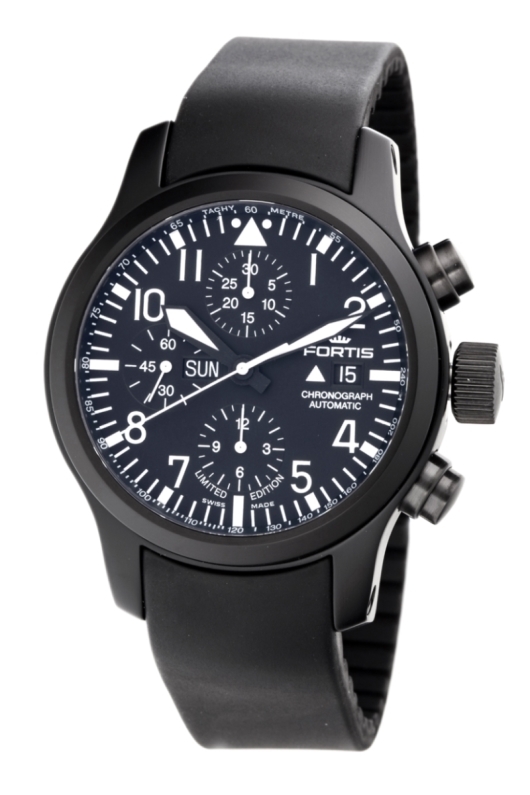 The watch is housed in a rugged PVD coated or brushed stainless steel case that is water resistant to 660 feet and is protected by an anti-reflective, scratch resistant sapphire crystal. A dependable, Swiss-made ETA 2386-2 mechanical movement typically powers three-hand models, while the chronographs utilize the venerable ETA Valjoux 7750 movement with a 42-hour power reserve. Each of these professional timing tools has been engineered to provide a lifetime of reliable service. Chronograph models include 30-minute and 12-hour sub-dials for timing events, as well as a small seconds display at 6 o’clock. The versatile chronograph dial has a big date window at 3 o’clock and a tachymeter scale inscribed around the chapter ring. 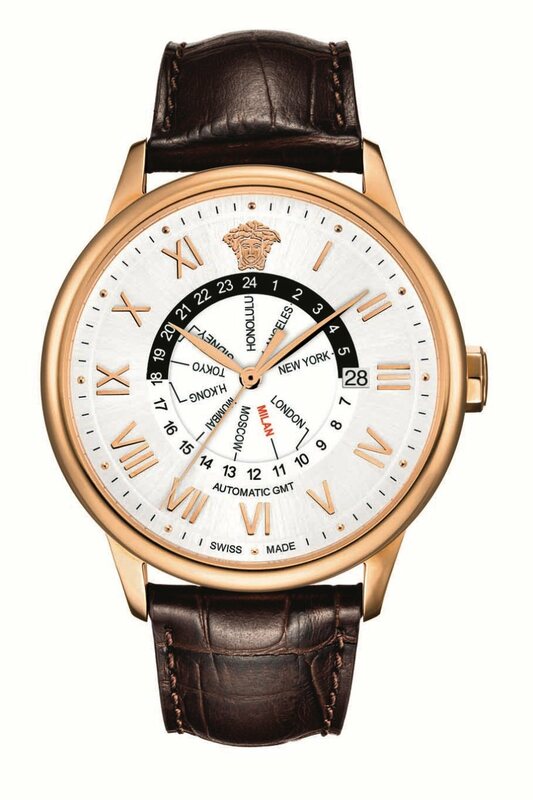 Most three-hand models also include a convenient big date display. Your Fortis B-42 Flieger Automatic can be equipped with a beautiful, topstitched leather caoutchouc band or stainless steel bracelet. These oversized, masculine watches are perfectly proportioned for a man’s wrist and include a larger than normal winding crown, which makes the watch easy to operate in the air or on the ground. 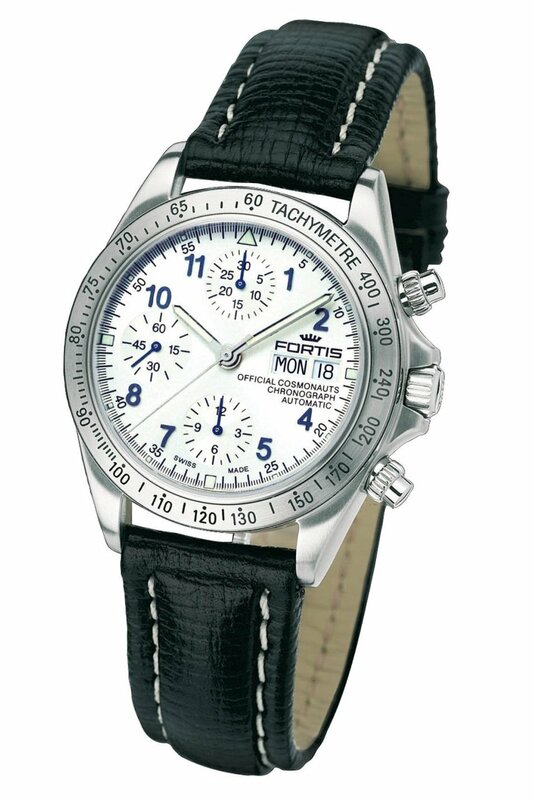 Chronograph models include two well-placed stainless steel pushers on either side of the crown for timing events. 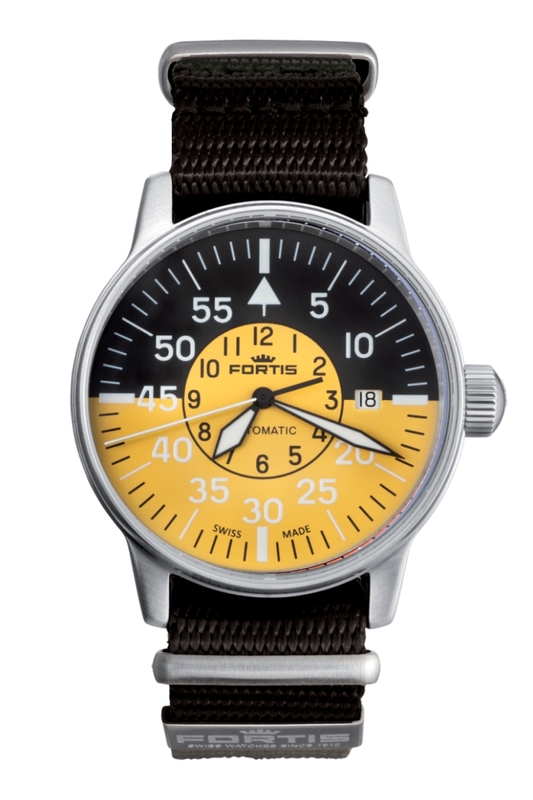 After 100 years of technical innovation and firsts, it’s no surprise that Fortis watches have become a favored timepiece of astronauts and aviators. 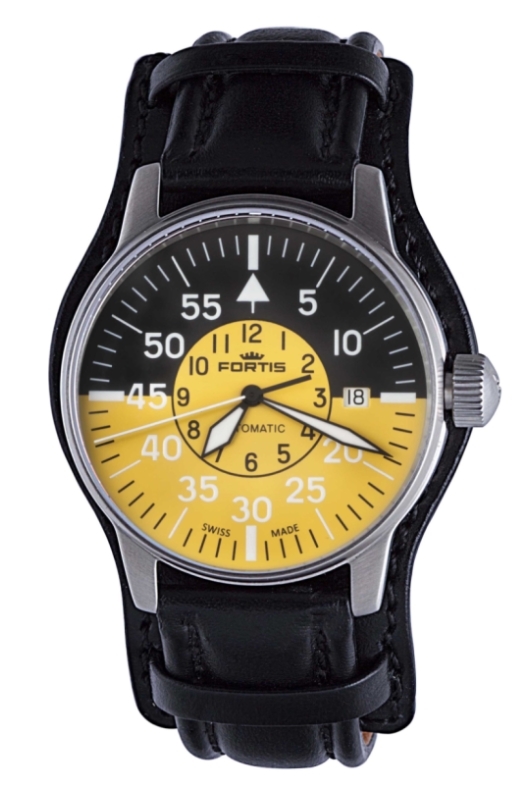 Fortis means “strength” in Latin and professional aviators know that they can depend on these remarkable, Swiss-made timing tools when there’s no room for error. 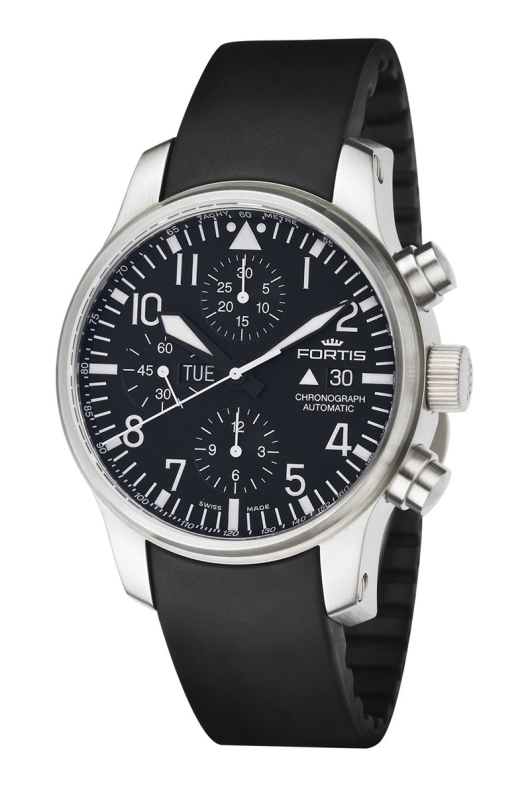 If you’re a pilot, or would like to look like one, just contact an authorized Fortis dealer and ask to see the B-42 Flieger Automatic Watch Collection. One of these remarkable timepieces is already cleared for takeoff on your wrist. 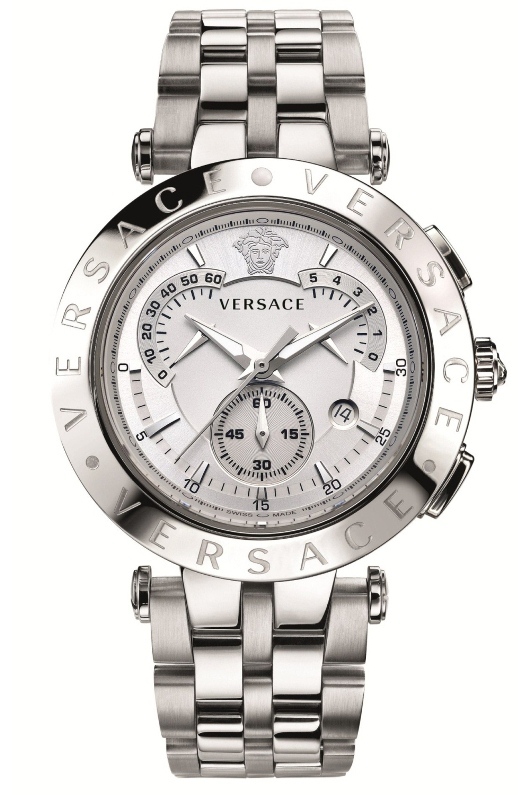 How many times have you wished there was a beautiful luxury timepiece on your wrist? Well, there’s no need to wait any longer to fulfill your wish. Starting at 10pm Eastern Time (7pm Pacific) on Monday, August 13, both on TV and streaming online, the popular ShopHQ shopping channel will be featuring some of the world’s most popular luxury timepieces at prices that will be almost impossible to resist. 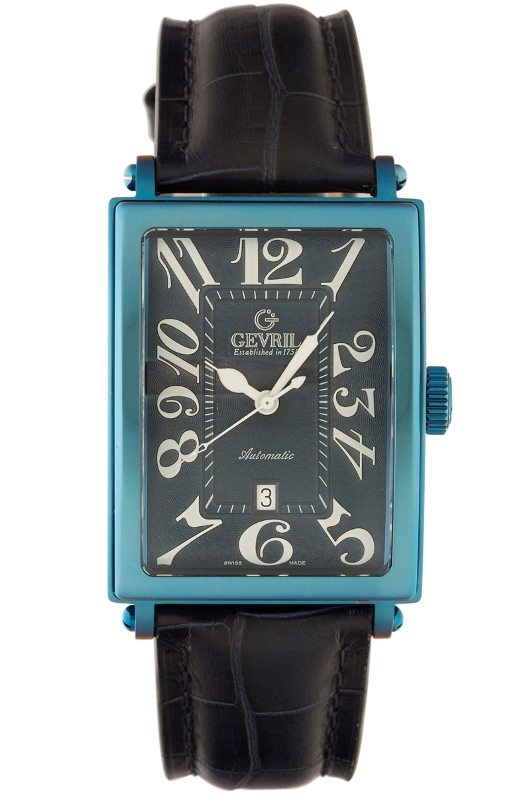 ShopHQ’s resident watch expert Daniel Green and Steven Jay of Gevril Group will co-host this special luxury event. This will be your chance to obtain fabulous luxury timepieces by famous manufacturers like Gio Monaco, Louis Erard, Fortis, Meccaniche Veloci, Versace, Gevril, Ferragamo, and others at prices you will find hard to believe. Fine timepieces like these almost never go on sale, so this special luxury event is a unique opportunity to find the watch of your dreams at a price you can afford. Almost every time that a product of this quality is featured on the popular ShopHQ program, it sells out very quickly. 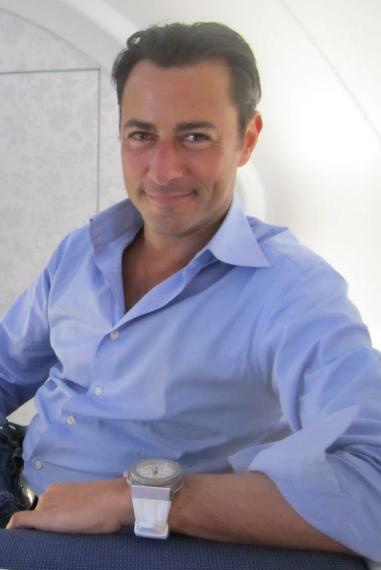 Quantities of these top-of-the-line timepieces are strictly limited, so you’ll want to be among the first callers to take advantage of the amazing deals that Gevril Group’s own Steven Jay will be presenting during this exclusive one-time luxury event. Would you like a luxurious Gevril Avenue of Americas automatic? 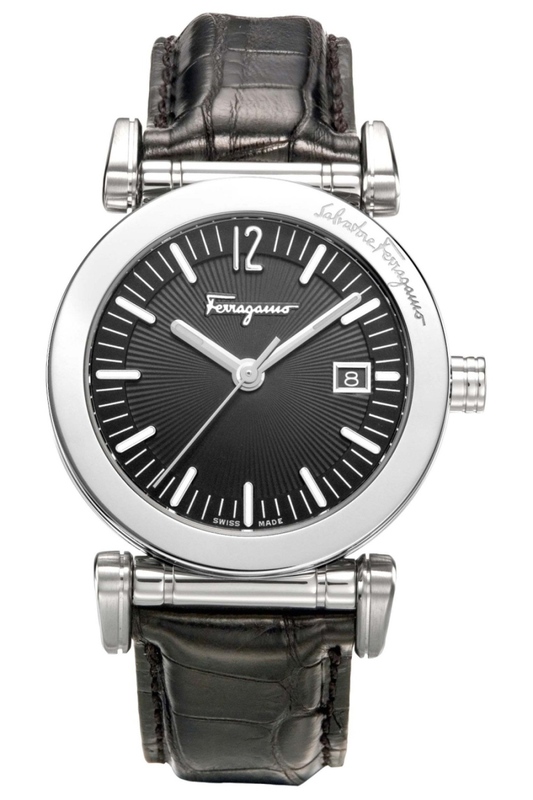 How about a fashion forward Versace or Ferragamo timepiece? 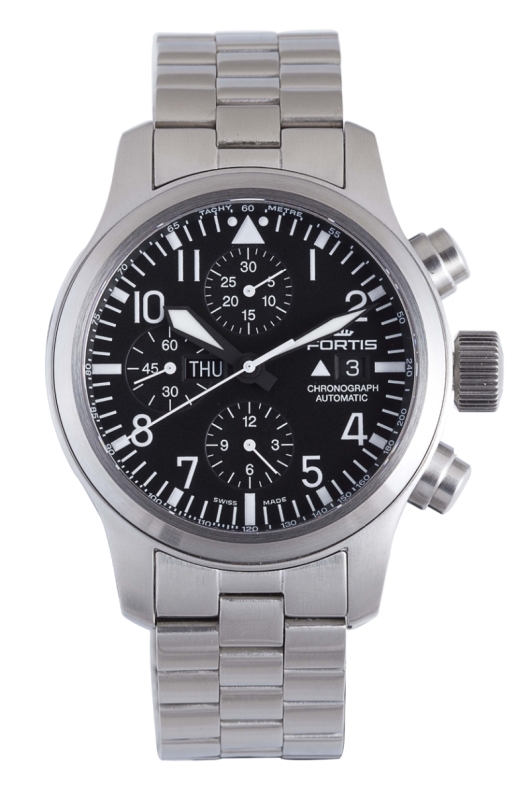 If you fancy an authentic pilot’s watch on your wrist, you’ll definitely want to consider a Fortis Flieger or even the fabulous Fortis Official Cosmonauts Chronograph. All these fabulous luxury timepieces and many more will be available at special event prices only during the August 13th ShopHQ show, so make plans now to tune-in and take advantage of some amazing deals. Remember that the show begins on August 13 at 10pm Eastern Time (7pm Pacific). This is an event that any watch aficionado won’t want to miss! Put this special event on your calendar now and make plans to tune-in. 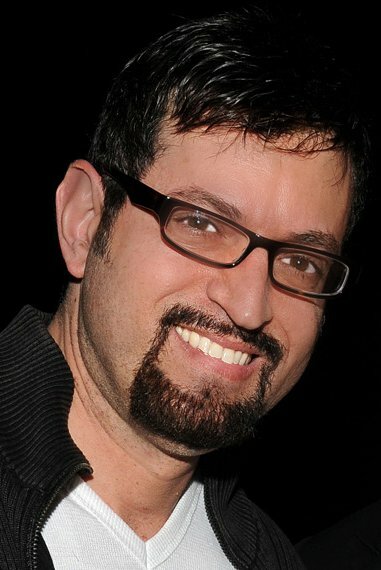 As viewers of previous ShopHQ events already know, when Daniel Green and Steven Jay start talking about watches, you’re going to want to join the conversation. Please subscribe to the Gevril Group newsletter and blog updates. Like us on Facebook.